Robinson remains unsigned as an unrestricted free agent, Chris Tomasson of the St. Paul Pioneer Press reports. Robinson failed to catch any of his four targets during Sunday's 24-10 loss to the Bears. Analysis: Held without a catch for the second straight week, Robinson finishes up the season with 17 receptions for 231 yards and five touchdowns. 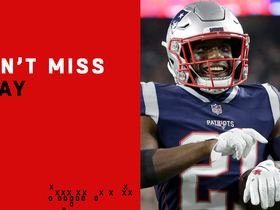 The 30-year-old's ridiculous 17:5 reception-to-touchdown ratio is indicative of his success on designed plays, but Robinson failed to make much of an impact outside of such situations. 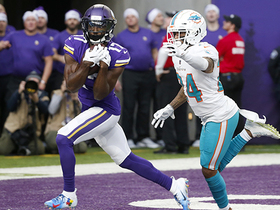 Set to become a free agent this offseason, it's conceivable that the Vikings could elect to re-sign Robinson as a situational wideout for 2019. Robinson was unable to snag either of his targets during Sunday's 27-9 win over the Lions. Robinson recorded two catches on two targets for 44 yards and a touchdown in Sunday's 41-17 win over the Dolphins. Analysis: Robinson was effective during his 15 offensive snaps, as his 44 receiving yards ended up being a season high for the veteran. This came despite quarterback Kirk Cousins completing just 14 passes in Sunday's rout. Robinson has just 17 catches on the year, though five of them have gone for touchdowns. Robinson did not have a reception and was targeted just once in Monday's loss at Seattle. Robinson caught five of nine targets for 37 yards in Sunday's 24-10 loss to the Patriots. Analysis: Robinson played 43 of 61 snaps (70 percent) on offense, while Laquon Treadwell was limited to two targets on 22 snaps. 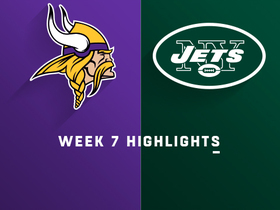 Treadwell's consistent failure to contribute in the passing game seems to have opened up an opportunity for Robinson to work as the No. 3 receiver when the Vikings need to throw the ball in a comeback effort. The team does still appear to place some value on Treadwell's work as a blocker. Robinson caught one of two targets for 11 yards during Sunday's 27-20 victory over the Packers. 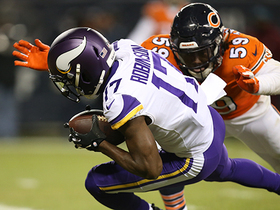 Robinson had two receptions for 24 yards, including a 13-yard touchdown, in Sunday's loss at Chicago. Analysis: Robinson played just eight snaps on offense, but continues to display big-play capabilities with his fourth touchdown on just nine receptions. He had a large decline in snaps on offense with Stefon Diggs back from a rib injury after playing 17 and 26 the prior two games, however, so it may not be a good bet for his touchdown prowess to continue. Robinson had two receptions for 20 yards on three targets in Sunday's win over Detroit. 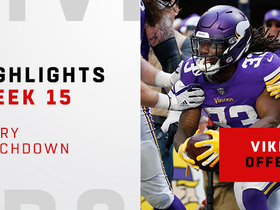 Analysis: Robinson played a season-high 26 snaps on offense, but it wasn't the windfall of opportunity that many expected with Stefon Diggs sidelined with a rib injury. He continues to get limited touches in the offense, but has big-play potential with three touchdowns in just 13 targets. 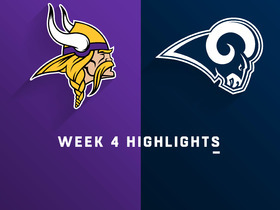 Robinson is preparing for a larger role with Stefon Diggs (ribs) in danger of missing Sunday's game against the Lions, Andrew Krammer of the Minneapolis Star Tribune reports. 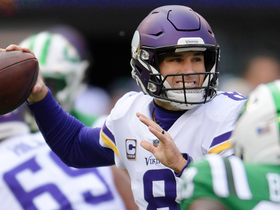 Minnesota Vikings quarterback Kirk Cousins throws a perfect strike to wide receiver Aldrick Robinson for a 40-yard touchdown. New England Patriots safety Duron Harmon pulls in a bobbling interception from Minnesota Vikings quarterback Kirk Cousins. 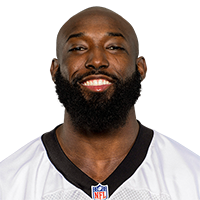 Minnesota Vikings wide receiver Aldrick Robinson takes slant for speedy touchdown catch. 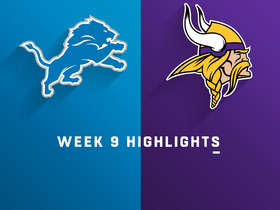 Watch highlights from the Detroit Lions vs. Minnesota Vikings game where the Minnesota Vikings defeat the Detroit Lions at home during Week 9 of the 2018 season. Minnesota Vikings quarterback Kirk Cousins with a deep 34-yard touchdown pass to wide receiver Aldrick Robinson. 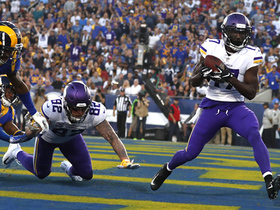 Minnesota Vikings wide receiver Aldrick Robinson catches his second touchdown of the game against the Los Angeles Rams in Week 4. 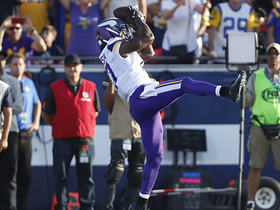 Minnesota Vikings wide receiver Aldrick Robinson gets behind Los Angeles Rams defensive back Marcus Peters for first touchdown as a Viking.